'God is Cool With Cannabis,' Says Orthodox Jewish Cannabis Expert - Breaking Israel News | Latest News. Biblical Perspective. 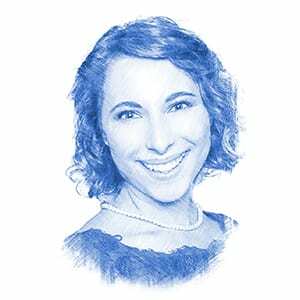 According to Sarah Zadok, Content Marketing Manager for CannaTech and iCAN Israel Cannabis, the use of medical cannabis among those who need it is not only permitted under Jewish law. It is also a mitzvah (commandment). “God is cool with cannabis,” she told Breaking Israel News. Even more, Zadok said, the Jewish tradition of “pikuach nefesh” (saving a life) says that preservation of human life overrides nearly any other religious consideration. Thus, smoking medical cannabis is even permitted during Shabbat and holidays if this is the most effective way to ensure one’s health. According to Saul Kaye, founder of iCAN, the use of cannabis dates back to the Bible and is documented in the Old Testament. He claimed that cannabis is referred to as “kaneh-bosm” in the books of Exodus, the Song of Songs, Isaiah, Jeremiah, and Ezekiel. “It is mentioned in the Bible, in Gamara (Talmud), and was used to create smoke in the temple,” he told Breaking Israel News. However, Zadok questions whether “kaneh-bosm” is referring to cannabis. “If you’re approaching it from a purely academic level, the academia is light from a theological Biblical test. You can surmise and interpret, but I think it’s debatable whether “kaneh-bosm” is actually talking about cannabis,” she said. Indeed, there is great anecdotal evidence that medical cannabis effectively treats various conditions, such as cancer, post-traumatic stress disorder, chronic pain, epilepsy, Alzheimer’s, autism, ADHD, MS, ALS, Crohn’s disease, AIDS and Tourette’s syndrome. However, clinical trials of the drug are still needed to back up these claims. Until then, opponents of the drug say that without clinical trials to prove effectiveness, information about its long-term safety, quality control, standardized composition and dosage for specific medical conditions, it cannot be viewed as a legitimate medicine. Zadok told Breaking Israel News that a significant portion of her job involves trying to highlight the legitimacy and undermining the stigma of the use of medical cannabis. “We reshape popular thought, bringing the hype about cannabis down a few notches, lowering the volume. We are talking about real people with real pain that deserve real health care options,” Zadok said. But even so, Zadok stressed that the use of cannabis does not have to be an “outrageous external expression” and that one could be tzanua (modest) about consuming medical cannabis with edibles instead of inhaling the plant. “It’s about living your purpose, living it well, and living it healthy. And if that happens to be what one needs to engage with God’s creation, then use it and enjoy it,” Zadok said. While Zadok said that use of medical cannabis is not a Jewish issue but rather a human one, Dr. Kirsten Muller Vahl, a neurologist and psychiatrist at the Hannover Medical School in Germany, maintained that the lack of clinical trials of medical cannabis is problematic. Vahl further argued that while many patients use cannabinoids, more research needs to be conducted in order to understand which cannabinoids are most effective. “There is a great need to increase clinical trials to increase the evidence and effectiveness of medical cannabis,” she added. David Miller, who has worked as an Israeli-American mashgiach (a Jew who supervises the kosher status of an establishment) for 20 years, explained why he believes that Jews are disproportionately represented in the medical cannabis industry. “The root of that is compassion,” he told Breaking Israel News, noting that caring for others is one of the most important Jewish values. Within a month, Miller plans to launch a new organization called, “Cannabis Kosher Certification” as he hopes to provide the kosher stamp of approval on cannabis products. Although cannabis is not non-kosher in nature, he stressed that the plant must still be checked for insects, which are not kosher. Making sure the plant is free of bugs is a “legitimate kosher question, and we have ways of dealing with that,” he added. But even without a formal kosher stamp of approval, Zadok says that rabbis will still sanction the use of cannabis.